Below you fill find all funeral homes and cemeteries in or near Puyallup. Suburbs of Puyallup: South Hill, Edgewood, Alderton, Firwood, Jovita, Maplewood, Meeker, Puy, Summit. Puyallup is also known as: Pierce County / Puyallup city. Zip codes in the city: 98371, 98372, 98373, 98374, 98375. Some of the notable people born here have been: Billy Joe Hobert (american football player), Michelle Harrison (actor and singer), Natasha Curry (journalist), Dustin-Leigh Konzelman (model), Mathias Anderle (musician and singer-songwriter), Marian Call (singer-songwriter), , and Kathleen Webb (writer). Puyallup, Washington (/pjuːˈæləp/ pew-AL-əp or /pjuːˈɔːləp/ pew-AWL-əp) is a city in Pierce County, Washington, about 10 miles (16 km) southeast of Tacoma and 35 miles (56 km) south of Seattle. The population was 37,022 at the 2010 Census and the Washington State Office of Financial Management estimated the 2014 population at 38,670. Named after the Puyallup Tribe of Native Americans, Puyallup means "the generous people." It was disclosed on January 27th, 2019 that Mary Jo "Jo" Ellis (Welch) passed away in Puyallup, Washington. Ms. Ellis was 79 years old and was born in Hood River, OR. Send flowers to express your sympathy and honor Mary Jo "Jo"'s life. It was revealed on January 3rd, 2019 that Roland Dale Wilson died in Puyallup, Washington. Wilson was 83 years old. Send flowers to express your sorrow and honor Roland Dale's life. It was disclosed by The News Tribune on November 21st, 2018 that Roger R Burr passed on in Puyallup, Washington. Burr was 65 years old. Send flowers to express your sorrow and honor Roger R's life. It was revealed by The News Tribune on November 16th, 2018 that Winoan Babbitt (Shindle) perished in Puyallup, Washington. Ms. Babbitt was 99 years old and was born in Wilsonville, NE. Send flowers to express your sorrow and honor Winoan's life. It was noted by The News Tribune on November 15th, 2018 that Jesse Halland perished in Puyallup, Washington. Halland was 11 years old. Send flowers to share your condolences and honor Jesse's life. It was disclosed by The News Tribune on November 14th, 2018 that Carol Coble perished in Puyallup, Washington. Coble was 72 years old. Send flowers to express your sorrow and honor Carol's life. It was revealed by The News Tribune on November 14th, 2018 that Edgar "Leon" Inman passed on in Puyallup, Washington. Inman was 86 years old and was born in Oilton, OK. Send flowers to express your sympathy and honor Edgar "Leon"'s life. It was reported by The News Tribune on November 12th, 2018 that Patricia "Pat" Landru (Oakey) passed away in Puyallup, Washington. Ms. Landru was 69 years old. Send flowers to share your condolences and honor Patricia "Pat"'s life. It was disclosed by The News Tribune on November 11th, 2018 that Richard G "Rick" Coleman passed on in Puyallup, Washington. Coleman was 72 years old and was born in Portland, OR. Send flowers to express your sorrow and honor Richard G "Rick"'s life. It was written by The News Tribune on November 10th, 2018 that Beverly Jean Bostwick passed away in Puyallup, Washington. Bostwick was 82 years old. Send flowers to express your sorrow and honor Beverly Jean's life. The town grew rapidly throughout the 1880s and the town was incorporated in 1890, the first mayor being Ezra Meeker. During the early part of World War II the fairgrounds were home to over 7,000 Japanese residents, most of whom were American citizens, at Camp Harmony. The Western Washington Fairgrounds were developed giving local farmers a place to show off their crops and livestock. Puyallup, Washington ( ; ) is a city in Pierce County, Washington County, Washington about five miles east of Tacoma. The first European settelers arrived in the 1850s. 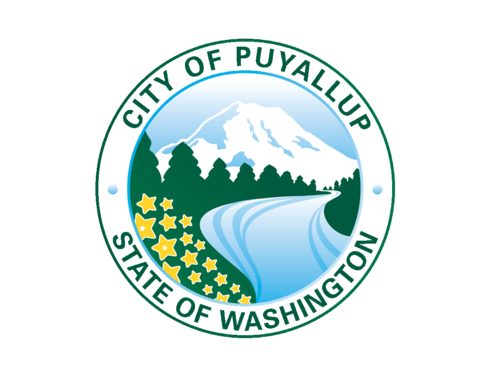 The official website for the city of Puyallup is http://www.cityofpuyallup.org/. Morris, 67, of Auburn, Washington, died October 26 ... A memorial service followed by a reception will be held at Powers Funeral Home in Puyallup at 11 a.m. Monday, November 1st. His ashes will be laid to rest at Woodbine Cemetery in Puyallup. Funerals in Puyallup, WA on Yahoo! Local Get Ratings & Reviews on Funerals with Photos, Maps, Driving Directions and more. We work with local florists and flower shops to offer same day delivery. You will find budget sympathy flowers in Puyallup here. Our funeral flowers are cheap in price but not in value.